17 September 2015, Thursday, Institute of Microfinance(InM) and Palli Karma-Sahayak Foundation (PKSF) have jointly organised a national conference on “Pathway out of Extreme Poverty in Bangladesh: The PRIME Experience”. 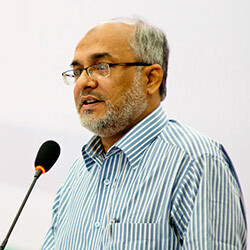 The conference was held at Bangabandhu International Conference Centre (BICC), Agargaon, Dhaka. 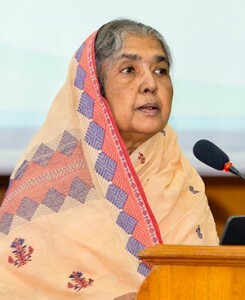 Ms. Matia Chowdhury, Honorable Minister, Ministry of Agriculture, Government of Bangladesh, inaugurated the first session of this conference as the Chief Guest. Mr. Md. Abdul Karim, Managing Director, PKSF attended the inaugural session as a guest of honor. Whereas, Dr. Qazi Kholiquzzaman Ahmad, Chairman PKSF and InM presided over the session. Professor Baqui Khalily presented his paper on “State of Monga and Empirical Evidence” and Impact of PRIME on Poeverty Alleviation. Mr. A.Q.M. 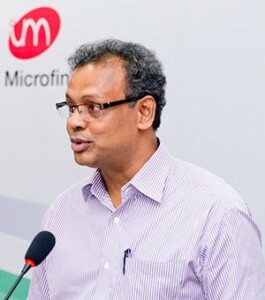 Golam Mawla, General Manager (Operations), PKSF presented his paper on “Prime Programme Design”. Mr. Mehadi Hasan, Senior Research Associate, InM gave a presentation on “Impact of PRIME on Food Security and Economic Condition”. Whereas, Dr. Martin Greeley, Research Fellow, Institute of Development Studies, University of Sussex gave a presentation on related issues. Professor M. A. Baqui Khalily in his speech he highlighted basic statistics on Monga situation. North Bengal is an agriculture depended area but there cropping intensity was very low. Especially the peoples of Rangpur area have worked as a wage labour basis on March to April and September to November. There were severe crisis of work and lack of food security. InM and PKSF have served their base line. PKSF has introduced a project to eradication Monga that is known as PRIME since 2006. On his speech he mentions the PRIME has divided the areas people into three aspects. One is the people who had occasionally starvation, second is the people who had consumption rationing and third is full meals of the people. The Primary implementation of PRIME was 48% of households had experienced occasional starvation during 2006-2007. He focused on the PRIME projects implementation and effectiveness. Mr. Golam Maola delivered a marvelous presentation. He said that the design of PKSF and with the initiative of various government and non-governments has working to reduce the poverty line. He remarks that at present almost one corer of family are getting helped by PKSF. He also discussed the credits of PKSF and PRIME projects. PKSF has working to create employment with a view to reduced poverty. He also discussed on the PKSFs major activities to reduced poverty and their performance. Mr. Md. Abdul Karim started his presentation putting thanks to all. 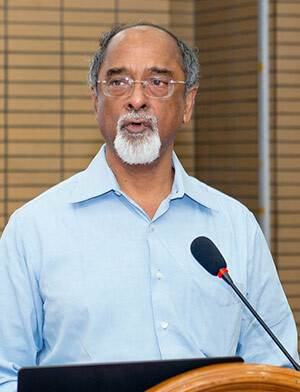 He said that it is good luck to us that Bangladesh has been getting help governmentally since three years ago and privately since five years ago. The Government and the NGO has working together to reduce extreme poverty in 2015 named MDG-1. He remarks all over performance of varies organisation that its 4% of extreme poverty rate that they are reduced. He discussed about on PRIME projects successfulness where there income per household increased 37% to 79% and food security has increased 45 to 96%. He mentions that the diversification of MDG-1 to SDG the PKSF with the government will be worked together. He said PRIME is a flag ship programme for both PKSF and DFID. Agriculture Ministry Mst. Motia Chowdhury, started her speech with putting thanks to all. First of all she claimed at the Monga situation of west bangle area reason for the lacking and rush communication system of this area. She follows up that after in the year 1996 by building Dharla Bridge and latter Bangobondhu Jamuna Bridge that made easy to communicate with the capital city with the west bangle area. She motivated the farmers to produce Boro Dhan and Angkor Dal rather than to produce Kheshari Dal. She also strongly enforces to increase production of Vutra cultivation that will help to produce Vitamin. She enforces to women’s rights and create suitable work environment for them. She also presents importance solar burner. 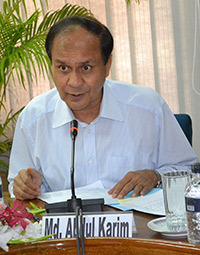 In the concluding stage, Qazi Kholiquzzaman Ahmad said that it is good news to reduce extreme poverty line below 11%.The life cycle is going to approach that means it is start with a birth and end with a death. PKSF tries to provide the mothers health concern to education, training, employment, and last of all to provide old age service. Already it is started to shelter the old people. It is divided into two categories people who are able to work and people who are not able to work. In this way PKSF wants to go forward in the future. He mentioned it is proved by us that only to providing some money cannot reduce poverty. We are already diverted to lower middle-east country and after few years later we will be converted into middle-east country. So our position to provide loan is also changed. Loans are basically provided to ensure training, marketing, and the use of technology. 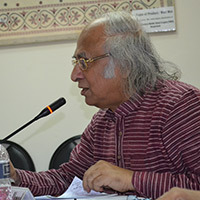 In his welcome speech, Professor M. A. Baqui Khalily discussed only two issues. First of all he talks about on the PRIME’s food security and its impacts. The first goal was to improve Food Security. Before implementation of the PRIME project food security was only 4% and insecurity was 94% in 2006 or 2007. He said 96% of poor households prior to implementation of PRIME were food insecure and of those 35% of the households were the occasionally stopped. That means they have to on occasionally skips occasionally starvation was the phenomena. Only 45 of the households have three pulls means this in small data. He indicates some aspects on his speech. Financial interventions of PRIME includes- Predict and savings, non-financial intervention, training, technical assistance and health services. Mr. Md. 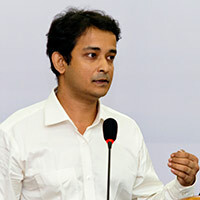 Mehedi Hasan basically discussed how much the PRIME fall impact on the food security and various financial indicators. He tries to show and analyse the financial indicators graphically. He said we have to ensure that the PRIME project have same in the intervention level. Mr. Md. Golam Touhid, on his speech he explain the learning aspects of PRIME. He said that they are working with PRIME since 2006. He also said that if we add value with our learning that will help us to irrigate poverty especially outer poor people. They are able to reduce poverty by ENRICH in 2005 it was 25% and after 2010 it is 17.6%. He said these rates are possible to reduce if we effectively have done to implement our learning. The PRIME project indicates both financial and non-financial services. With this PRIME project it has smoothing of consumption of the poor, increased their food security, their asset has been accommodated, their skilled has been developed and increased their productivity and income. At the concluding level he said if we reduce the level of poverty of the poor than we have to implement both financial and non-financial approach. In his concluding remarks, Dr. Qazi Kholiquzzaman Ahmad appreciated all presentation and comments. He also appreciated the programme and its design. He thanks to all for their participation especially the guest of honour and participants. He likes everything and enjoys much. Dr. Md. Sadiqul islam presents his presentation on Reaching the Extreme poor and the Sustainability of PRIME Branches. First of all he highlights the objective of his study. He describes some aspects and these aspects are the sustainability MFI branches implementing PRIME, identify the key success factors that contribute to sustainability, analyse the impact of subsidy on sustainability. He mentions that branches operating in the extreme poverty area are more sustainable when they have higher loan size. In his presentation he describes the key factors by PRIME participation. While delivering his speech, Dr. Martin Greely said that poverty rates have demonstrated an impressive steady improvement in Bangladesh. Poverty fell from 48.9% in 2000 to 40% in 2005 and to 31.5% in 2010. On his speech he said coupled with this substantial decrease in the poverty rate Bangladesh made steady progress in human development as characterised by better nutrition outcomes, increased literacy, increased access to safe water supply and improved living conditions. 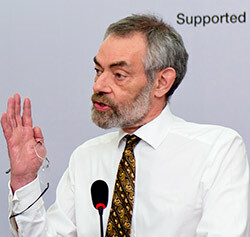 He mentions that however, despite remarkable progress in poverty reduction, extreme poverty in Bangladesh remains high. PRIME has been successful in reducing poverty. He shows a graphical scenario that PRIME increased gradually since 2011 to 2013 and grows up to 52% to 75%. 75% of PRIME households are now economically self sufficient in north area. He suggested that PRIME should be extended and expanded. In his concluding remarks, Professor M. A. Baqui Khalily said that There is no single solution despite PRIME or TOP whatever it is we have need to looked at elements that works to reduce extreme poverty. All of the strategy not only in case of PRIME, that microfinance and microcredit alone did not sufficient to irrigate poverty. He suggested that we need to introduce some elements on one hand it increase productivity on the other hand it reduces vulnerability. At the finishing level he specially appreciated Dr. Martin Greeley’s for his excellent presentation. He gives thanks to all for receiving invitation and participating at conference.